One of the most influential figureheads in the field, Ron has been recognised for his work and was appointed an OBE in the Queen’s 2006 New Year’s Honours list. 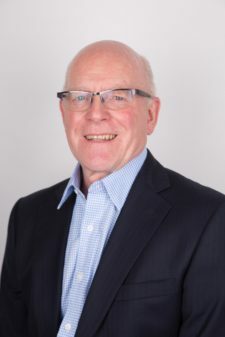 Following an engineering apprenticeship in the manufacturing industry, he spent several years in the telecommunications sector before joining the Health and Safety Executive (HSE) in 1976 as an electrical and control systems specialist. Ron headed this department from 1992 until 2006, specialising in safety critical control systems. In 1998 he was appointed as one of the five UK members of the binational Channel Tunnel Safety Authority (CTSA) by the Health and Safety Commission which is a post he still holds. He chaired the international IEC Task Group that assessed the viability of developing an international standard for safety critical computer systems and then went on to chair one of the two IEC working groups responsible for Editions 1 and 2 of IEC 61508 (the international standard dealing with safety critical systems). Other noteworthy accomplishments include being a Member of the IEC Advisory Committee on Safety (ACOS) for over ten years with special responsibilities for functional safety. He chaired both the Institution of Engineering & Technology Functional Safety Professional Network and the Institution of Engineering & Technology Residential Course on Safety Critical Systems. He is the author of many papers and presents for numerous seminars including a Key Note address at the ‘9th Embedded Systems Conference and Expo’ held in Tokyo, Japan in 2006. In 2005, Ron received the coveted IEC 1906 award for his work on functional safety, with particular regard to IEC 61508. Ron is an FS Expert (TÜV Rheinland) (#258 / 15).